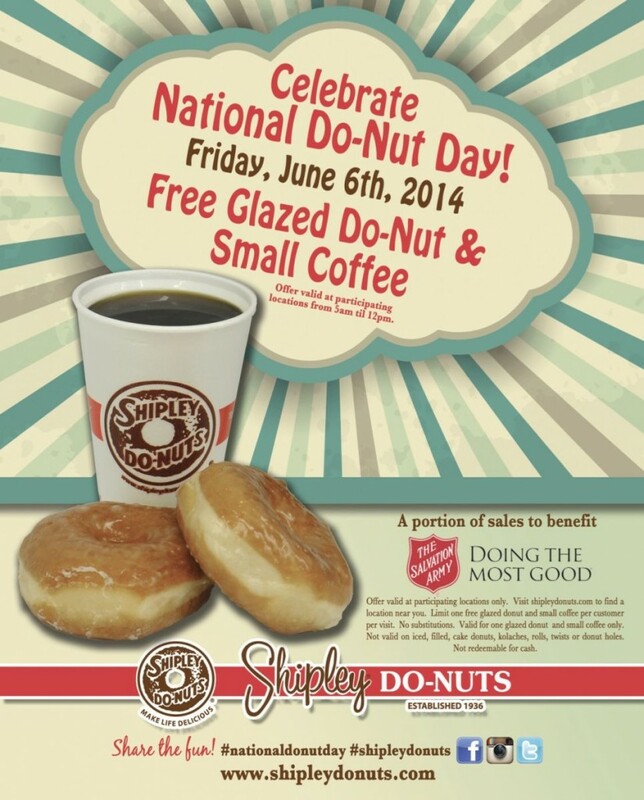 National Do-Nut Day is Friday June 6th! This event follows “do-nut day” which was created in 1938 by the Salvation Army to honor the “lassies” that served do-nuts to the soldiers during World War I. This year, we are proud to partner with the Salvation Army and donate a portion of our sales from the day back to their organization. Anyone who comes to the Shipley Donuts 12403 Westhiemer from 12:00 am to 12:00 pm will get a free donut and small cup of coffee (no purchase necessary). Quality posts is the important to attract the viewers to visit the site, that’s what this web page is providing.